Are you tired of being negative all of the time? Stressed? Anxious? Filled with tension? These days I think everyone is dealing with something. But as the nootropics industry continues to evolve, there may be a light at the end of the tunnel. Something we refer to as natural happy pills. I am not talking about some hippy-dippy solution that doesn’t work or something that promises to make you Einstein after a month. Lumiday is much more subtle but surprising effective. Chances are you’ve heard of it before and have seen advertisements at GNC, because it works very well and is selling out in stores. The world is demanding, and if you’re like 99% of society, you’re expected to do more, faster than ever before. No one can deal with this level of stress for long before they start to wear themselves out. Think constant heightened cortisol levels. That is terrible for your body and mind. Lumiday promises to be the solution to your fast-paced, demanding lifestyle. Lumiday is a supplement that has been scientifically designed to boost your mood. When you’re feeling tired, worn out and not happy with life, Lumiday can help. This is a supplement for the daily dreadful days, or the simply unhappy life that you have been living. It’s a solution to provide peace and happiness to your life. Offering a powerful formula, this product’s 12 key ingredients will help you turn those bad days into good days. I am a firm believer that life’s better when we’re positive. I can go into a long rant on how this product promotes concentration, relieves stress, offers clarity, promotes positivity and more, but the truth is that the ingredients speak for themselves. You can look up any one of these ingredients for yourself and find research backing all of these claims. 5-HTP. An amino acid that is converted into neurotransmitters that are known for promoting wellbeing and positivity. Research has shown that 5-HTP improves mood, helps provide relaxation, a sense of relief and also improves memory. L-Theanine. Another amino acid that is tied to tension and stress. L-Theanine promotes a person’s mood, helping increase alpha brain waves and influences the user’s central nervous system to create a “relaxed state.” Studies have even shown that this ingredient helps people better deal with psychological stress. John’s Wart. An herb, this extract has been used as a natural remedy and mood enhancer for centuries. Now, the extract is being promoted for its mood-support benefits. Rhodiola Extract. Stress and mood have been a key problem for centuries, and for centuries, Rhodiola has been used to help reduce stress and help balance a person’s mood. Ashwagandha Extract. Extracted from a plant found in the Middle East, India and Africa, this ingredient has long been a “secret” to improve mood and provide stress relief. 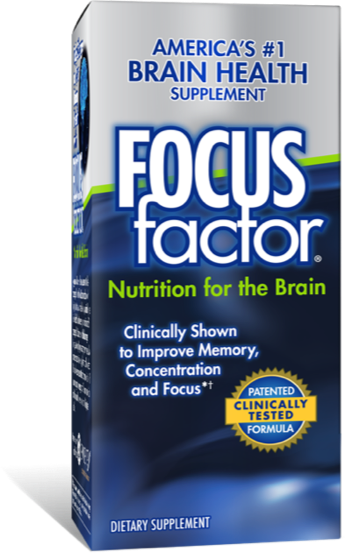 Studies show that this extract improves sleep, boosts concentration and promotes clarity. Also, the body is better suited to deal with stress when this ingredient is taken. Essential Vitamins. Lumiday is also infused with vitamins that are shown to help improve your mental state. B vitamins are a key ingredient, and you’ll find B5, B6, B9 and B12 inside of this supplement. Niacin, thiamin and Vitamins D is are present. Vitamin D, provided naturally from the sun, is also known to promote a happier mood. What’s important to realize is that all of these ingredients are 100% drug-free, and there’s never a concern that the ingredients are addictive. When compared to other competing mood enhancers, Lumiday is the clear winner. Sourcing of the industry’s finest ingredients. Strict FDA compliance that monitors the quality process. Manufacturing that is of the highest quality, performed according to Good Manufacturing Practices (GMP). When you order Lumiday, you can be confident that you’re receiving the industry’s best mood enhancement supplement. Customer service is available at all times, and all orders are shipped within 24 – 48 hours. You’ll receive your bottle of Lumiday quickly. Worried about someone knowing that you’re ordering a mood enhancer? Don’t be. All of the shipments are discreet, so no one will be able to know what you’re ordering. Every bottle contains 60 capsules, and you’ll be required to take two capsules per day for best results. A lot of users will take their supplement first thing in the morning, and this is a great way to start your day. While this product should not interfere with any of the medication that you’re currently taking, you may want to consult with your doctor to make sure that it’s safe to take Lumiday alongside your current medication. Everyone is different, but a lot of people have noted a significant decline in anxiety and stress in just a matter of three days. If you have trouble sleeping at night, this supplement will also be able to clear your mind and help you sleep better. It’s a supplement that is packed with natural ingredients, so there are no side effects that you need to be worried about. Anyone that is stressed, anxious, worried, and simply unhappy all of the time will want to give Lumiday a try. It’s an anti-anxiety supplement that you’ll need to continue taking daily – it doesn’t cure your issues – but it’s well worth the cost for the mood enhancement it provides. Men and women have been able to boost their mood using this supplement, and we have a special offer just for you in the next section. Lumiday is really taking the industry by storm, and it’s a product that is readily available at a lot of places, including GNC and Amazon. You can buy Lumiday at these outlets, but we have a special offer for our readers that’s even better. We’ve been able to secure a 14-day, exclusive free trial. This is an offer that allows you to give Lumiday a free try, and if you don’t believe that this is the best mood enhancer, you lost nothing. You deserve to use the industry’s best, natural mood stabilizers. Give it a try today for free.